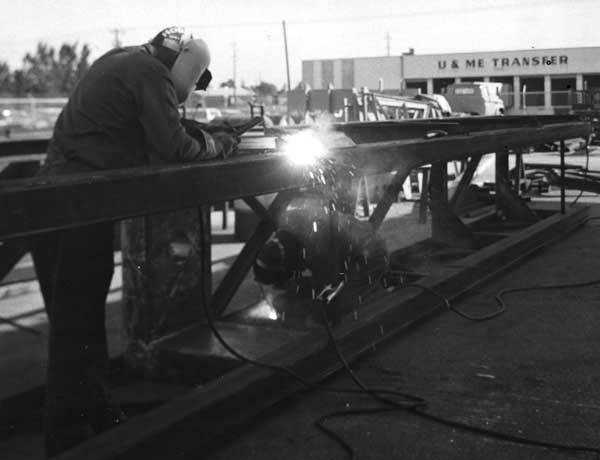 However, as the Chattanooga facility lacked fabrication capabilities until the early 1990’s, it took up leader fabrication, both onshore and offshore. As was the case with many of Vulcan’s attempts to broaden its product line, the demands of the immediate swallowed up the aspirations of the long term. The offshore leaders became its chief output; its proximity to the Port of Palm Beach made it an excellent place to ship leads from, especially overseas. Two light trailers, another product of the facility, with U and Me again in the background. As anyone who cruises the interstate at night will attest, these can be awfully handy, but Vulcan’s Chattanooga employees found using one rather dangerous. A set of offshore leaders in the yard, on top of the fabricating bed where they were usually made. In front of the leaders (left to right) are E. Curtis Harmon, plant manager; H.G. Warrington, President and Chairman of the Board, and R.J. North, a sales manager. Behind the leaders is the UPS facility. The leaders were spray painted, which made the “Special Products Division” (the plant’s designation) unpopular with UPS employees when their cars had the misfortune of being downwind during painting. The Port of Palm Beach wasn’t the only place where product was sent overseas from. 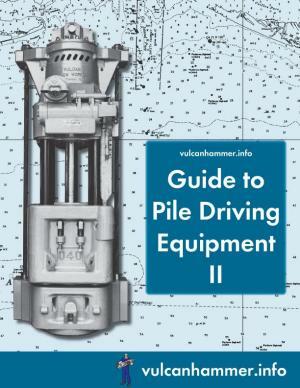 This hammer package (note that the hammer, caps and leaders are all shipped separately) are being shipped using the LASH (Lighter Aboard SHip) system from the port of Savannah, GA. With this system, the cargo is secured to a barge, which in turn is placed into an ocean going vessel for the voyage. 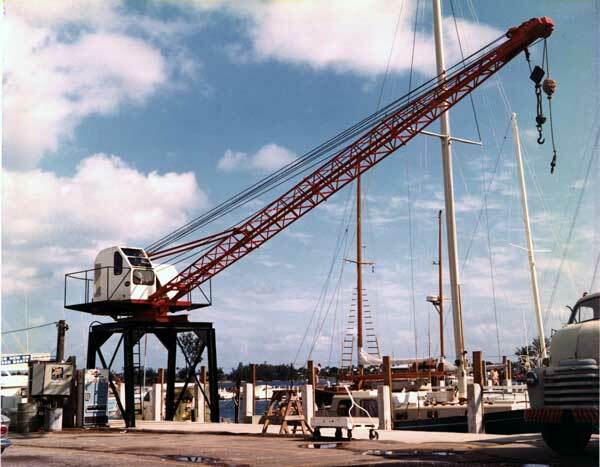 The “Yacht Yard Crane,” built for and installed at Rybovich and Sons Boat Works in West Palm Beach, Florida. 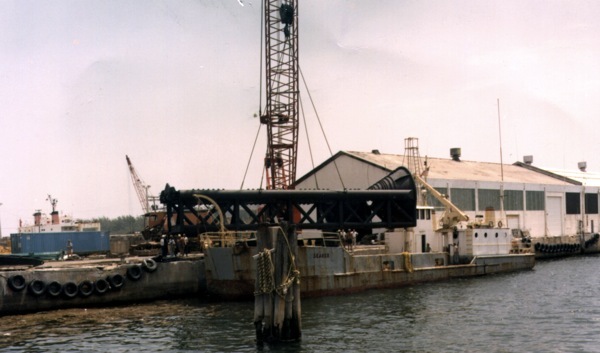 Yachting was an active pursuit of the Warrington family, so building a crane continued a long tradition. 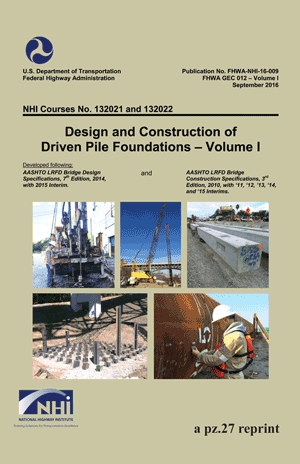 Welding onshore leaders at the Special Products Division. In the background (and across the street) is U and Me Transfer and Storage, which was very useful when things needed to be moved. Onshore leaders were one reason why the plant was built, but because of geography and other factors, the facility had a hard time being competitive with this part of the product line. Loading out the Construction Assistance Vehicle. This underwater craft was one of the most interesting things the SPD built. 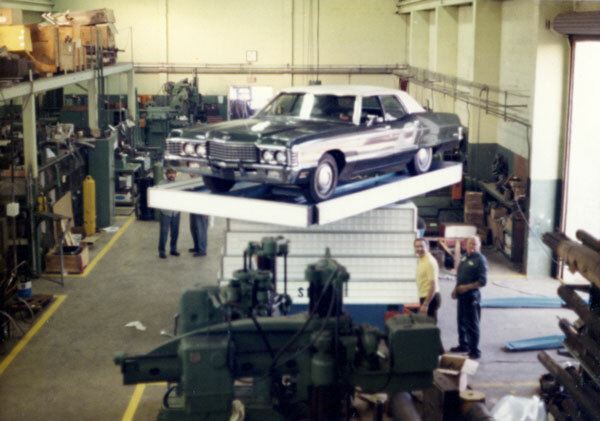 Helping mount a car on an auto dealer’s rotating display. Also shows a nice view of the shop from the overlooking office. 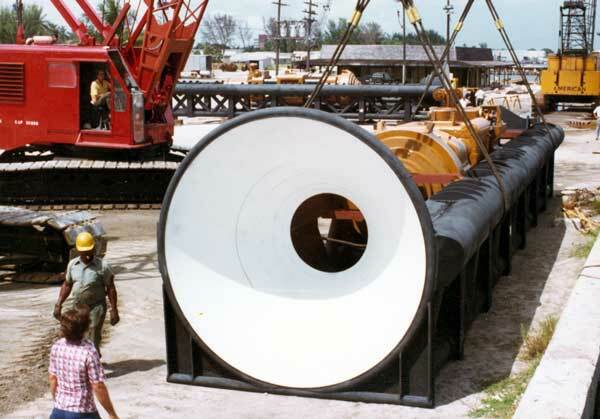 A hammer package being shipped from the Port of Palm Beach. 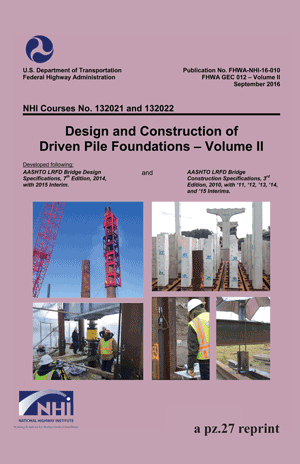 The stabbing bell makes it easier for the crane operator to guide the pile to the pipe cap. They’re faint, but one can see the concentric rings of the adjustable bell; these could be removed or added back for different sizes of pipe. The black with white bell was the standard Vulcan colour scheme for its leaders, although the action shots make it clear that paint didn’t last too long offshore. Shipping the hammer in the leaders was a sensible option, especially since deck cargo is charged both by weight and volume. Note yet another package in the background. Hoisting the leaders over the water at the Port. 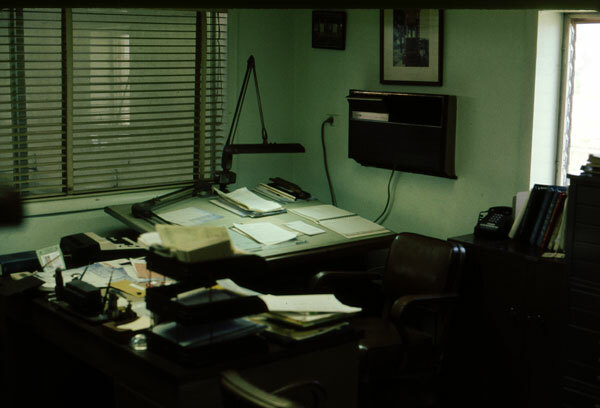 When it was time to go “back to the drawing board” at the Special Products Division, this is where they went: part of the engineering section of the Division, July 1974. 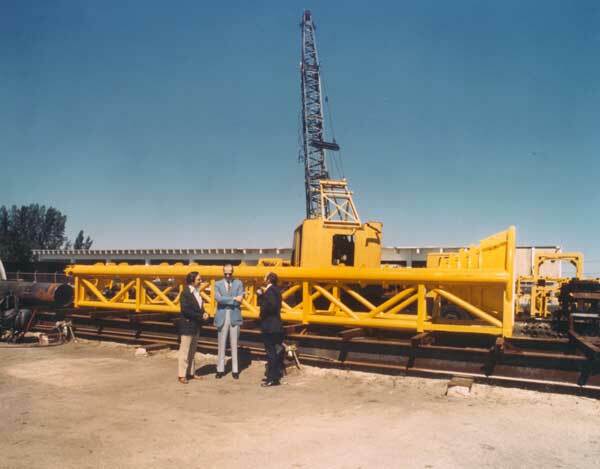 The yard during the testing of the Single-Compound hammer prototype in 1982. 1997-2017 Don C. Warrington. All rights reserved. 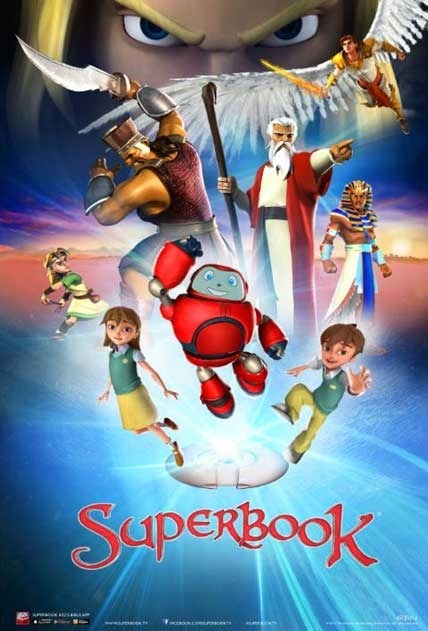 Website maintained by Positive Infinity and hosted by 1 and 1 Internet. Vulcan: The Offshore Experience The West Palm Beach fabricating facility was opened in 1967; it was about two blocks from the office. (Communications between the two could be interesting, as described here.) As was the case with the office, it was built by Wiggs and Maale Construction. (Click here for a vignette of the plant’s opening and one of its non-offshore products.) 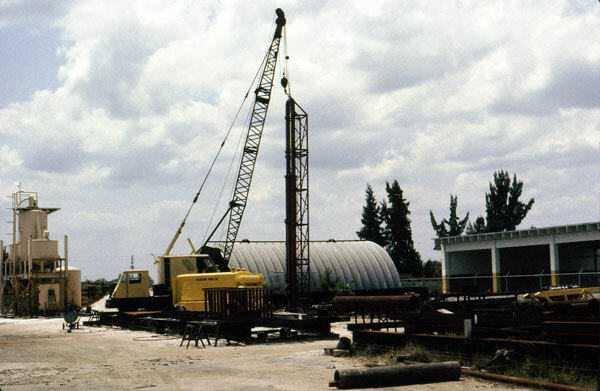 Its original purpose was to provide a manufacturing facility for Vulcan’s efforts at diversification, specifically the Stone Drilling Machine Division, which made water well drills. 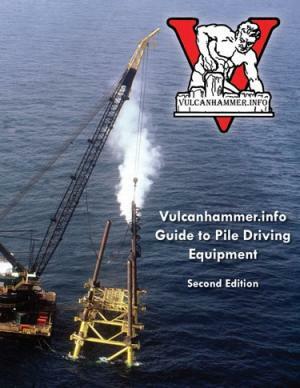 The results of that direction were some of the most interesting products Vulcan ever produced, including the Construction Assistance Vehicle, one of the “coolest” things Vulcan ever made. 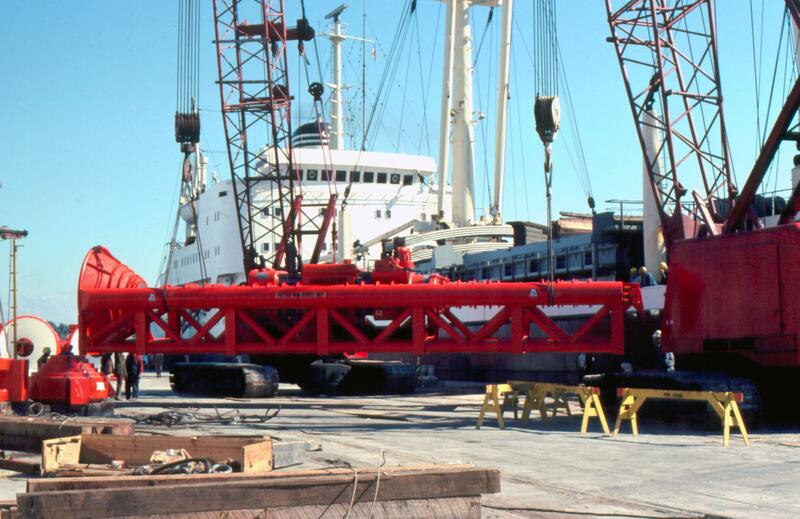 However, as the Chattanooga facility lacked fabrication capabilities until the early 1990’s, it took up leader fabrication, both onshore and offshore. As was the case with many of Vulcan’s attempts to broaden its product line, the demands of the immediate swallowed up the aspirations of the long term. The offshore leaders became its chief output; its proximity to the Port of Palm Beach made it an excellent place to ship leads from, especially overseas. The facility shortly after its opening, showing the fabrication yard. It also had a small machine shop inside. 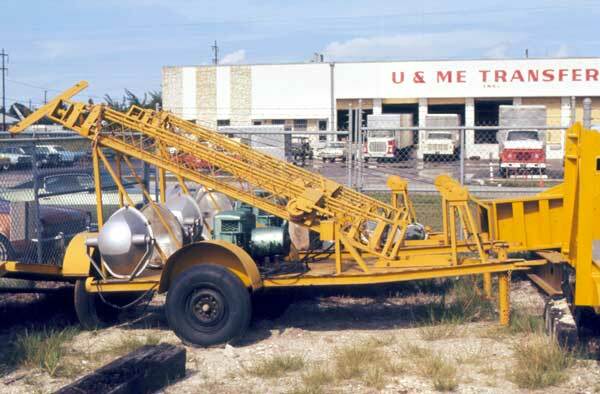 The sand hopper, necessary for sand blasting operations. 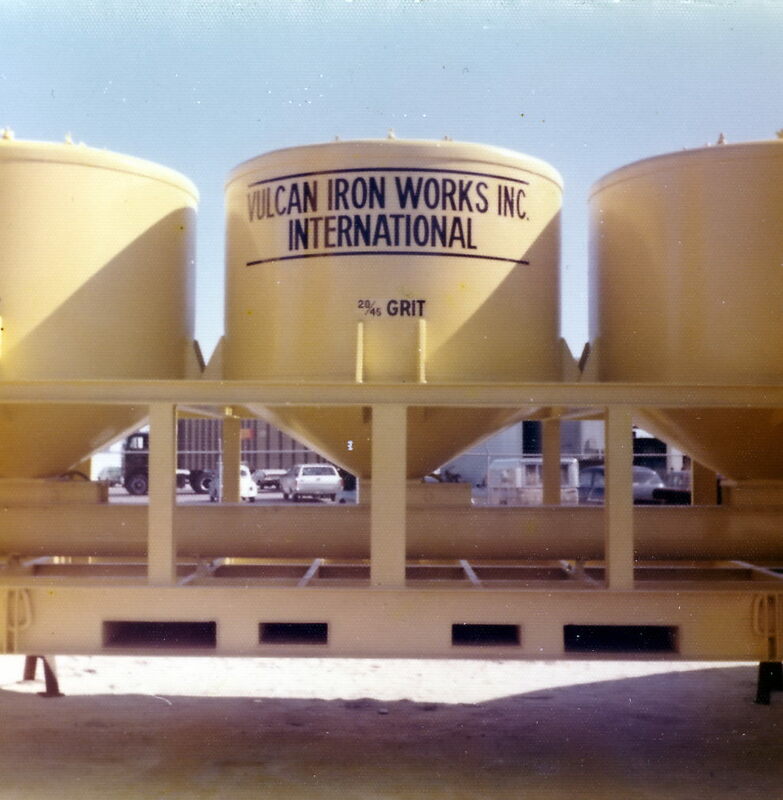 Emblazoned with “Vulcan Iron Works Inc. International” may seem pretentious, but South Florida is at the edge of the United States in every sense of the word. 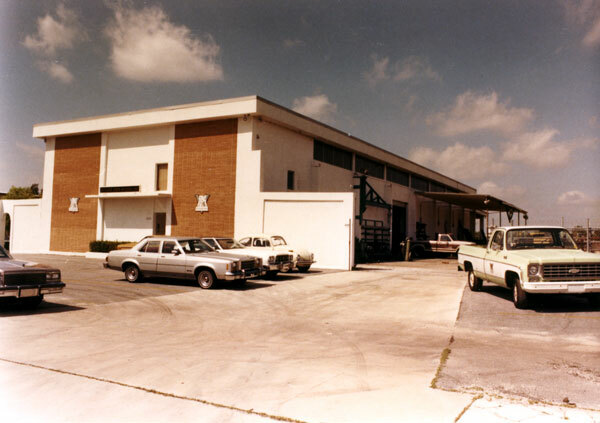 The facility in April 1984, shortly before it was closed and sold. 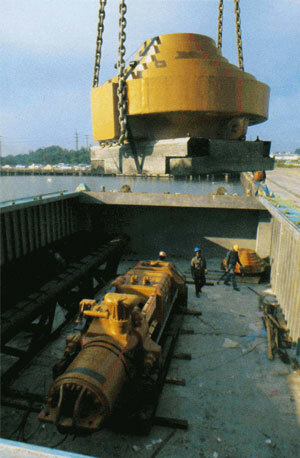 Another view of loading out a hammer package, this time being lifted off of the quay to be set on the deck of the ship. A article from TransUnion’s magazine Trans/action about LASH and Vulcan Iron Works. We have an entire page dedicated to describing leaders in general and Vulcan leaders in particular. 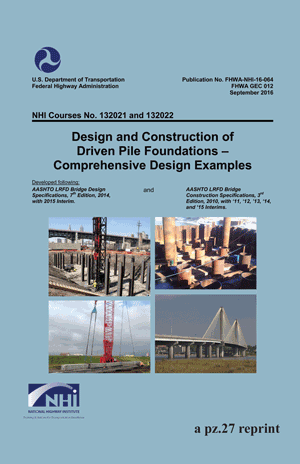 Information about the Construction Assistance Vehicle. 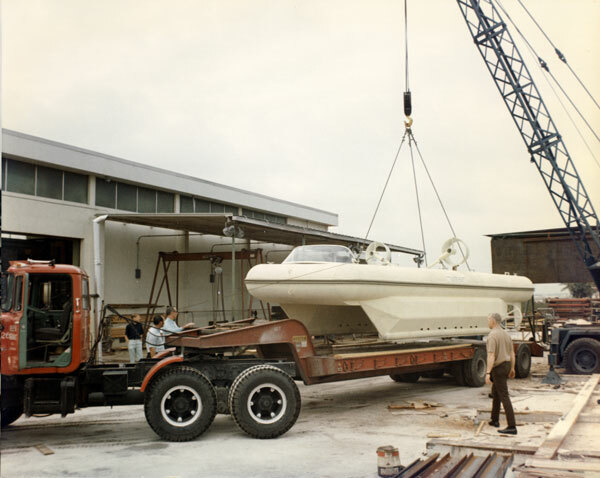 Video (below) showing the relaunch of the Warrington family yacht at Rybovich and Sons Boat Works. Click here to find out about the near disaster that put it into drydock.